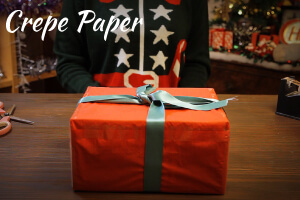 9 Awesome Household Alternatives to Wrapping Paper! On a budget this Christmas? The big day is on it's way, you've already bought your Christmas gifts but there's no wrapping paper to be found anywhere. But never fear, Prezzybox are here with some crafty creations that will personalise your presents, whilst being super savvy and recycling materials to help save the world too! Each material chosen can be re-used, recycled or re-worn meaning you can get on with enjoying the rest of your Christmas day and eating enough food for a small village without worrying about all that tidying up. A classic combination of brown paper and ribbon is a traditional trend that is is always a popular choice when it comes to gift wrapping. Use patterned tissue paper or create your own with homemade stamps for a simple and cost effective way to wrap your gifts. This lightweight material is great for adding a personalised touch. Not the most traditional of materials this one is a little bit out there and requires a bit of imagination. 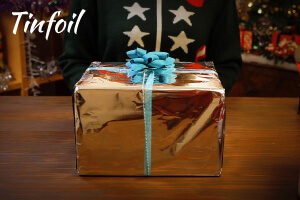 Simply wrap your gift in tinfoil and then embellish with a beautiful ribbon or some string in a bright colour to make it pop. A cheap way to get an old fashioned feel. For an extra special touch why not use a special dated newspaper or one with a puzzle on to complete for anyone who likes a brainteaser. Using scarves adds texture and a warm wintery feel under the Christmas tree. Add a matching ribbon and tie in a bow to hold the present together. This also gives the recipient another special gift that they wouldn't have expected. 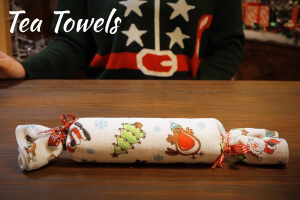 For nick nacks or small items, pop them into a cardboard tube that you can then wrap in a festive tea towel. 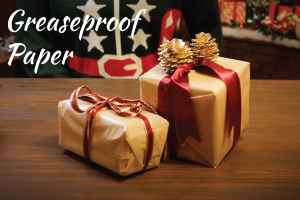 Then twist and secure the ends with ribbon or tape to form a cracker like parcel. This way they'll never be able to guess what you have bought them either. 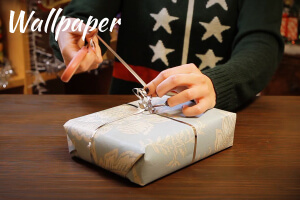 Use printed wallpaper samples or leftover clippings for a creative way to wrap up your gifts this Christmas. Finish with textured string or metallic ribbon for a modern twist. Available in a wide range of colours, patterns and textures you can personalise each one to suit the recipient. 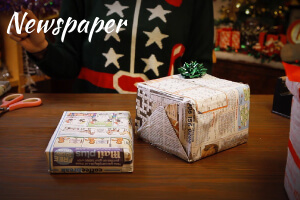 For a rustic approach to wrapping crepe paper is a quick and easy way to wrap up presents but still make them look a little bit different. Crinkle or rouche the paper for an extra bit of texture and finish with a bow.